Convergent Technologies MightyFrame: Wangtek 5099 Tape Drive Main Board #30509 "Tap-In"
Dedicated to the restoration and preservation of Convergent Technologies MightyFrame computers, components and systems. Wangtek 5099 Tape Drive Main Board #30509 "Tap-In"
In an effort to eventually build a device that reads raw magnetic flux transitions on all QIC-11 and QIC-24 tape formats (plus a few others, hopefully), this page is dedicated to the analysis of the technical design and circuitry of the Wangtek 5099 Tape Drive with Main Board Assembly #30509. Home now and really tired for some reason, which is odd since I woke up feeling unusually well rested this morning. Anyway, I won't dive into the Wangtek manual and specific signals just now, but intend to in the morning. However, some general comments about terminators. 1) First off you are correct about just driving them with a TTL signal, that should work fine. 220/330 terminator, but rather just a "pullup" to 5 volts. 3) So why the terminator you should be asking. 3a) It is absolutely needed if you are doing open collector. 3b) It may be necessary in other situations, but usually is not strictly required but is "good practice". 4) If you get into SCSI, you will have to deal with only terminating things at the end of the cable. It is a 220/330, but no need to get into SCSI as we aren't talking about that yet, eh? if there were more than one drive on a cable. Art of Electronics. Someday we may have to talk about RS-422 and differential data signals. I am not finding anything that is worth recommending you dig it out. Anything greater than 2.0 volts will be sensed as "high" by a TTL input. Anything less than 0.7 volts will be sensed as "low" by a TTL input. So you can see how the game goes. Look at page 24 of the Wangtek manual you sent me. it to a logic high without any other signal. Note that a terminator is only used on signals coming IN to the Wangtek. Did you work with CTIX or the Mightyframe at Convergent Technologies or another company? This website has been created to assist in connecting and sharing with those who have. Our mission is to restore Convergent Technologies MightyFrame computers and systems to a working status, and contribute all knowledge aggregated as a part of that effort to Vintage Computing enthusiasts worldwide. 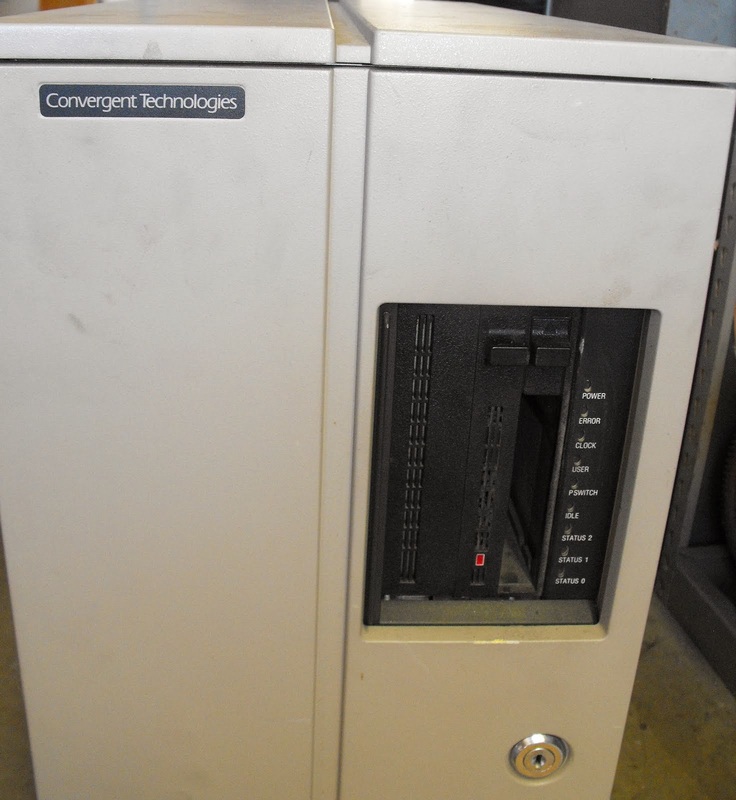 Other related systems we have added to our mission is the MiniFrame, and the AT&T 7300 / UNIX PC / 3B1, both manufactured by Convergent Technologies. Or better yet, click on the pictures you find interesting, as the contributor has written wonderfully detailed narratives on many of them. Fascinating!